Order in the next 7 hours for delivery on Wednesday, May 8. Order in the next 7 hours for delivery on Wednesday, April 24. Unique details come to live in this two-tone channel-set diamond ring. 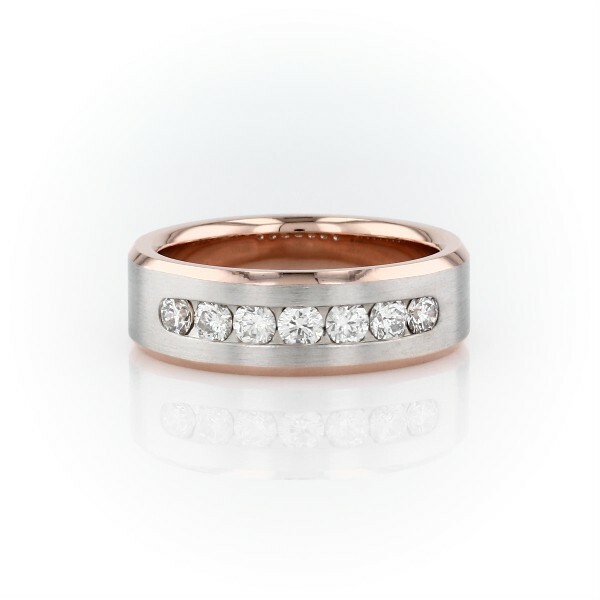 Crafted from 14k white and rose gold, with a modern brushed finish, this striking wedding ring features a brilliant row of round diamonds and curved inner edges for a comfortable fit.